8"x10" photo & matted to 11"x14"
On hot hot summer day I took a long drive in Spicewood Springs. 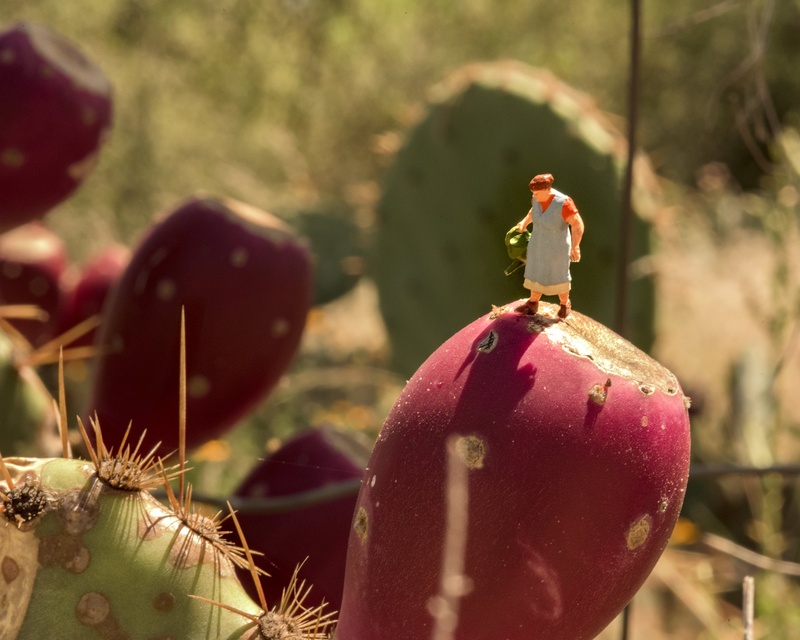 The only thing that seemed to be thriving in the heat were the Prickly Pear Cactuses. I discovered this little gardener tending to one of them. I find the camera gives me a license to slow down. To take everything in before it changes. And, things seem to be changing at lightning speed lately. I think that is what fascinates me about photography; the speed of the shutter, the freezing of time. For me there is nothing else like it. I also find my pursuit of photography is as much exploration as it is art. I want to understand what makes us tick. I want to slow down, to really see what is going on around me. Too often we get on a track in life. Driving back and forth to work, to school, to the store. We follow the same roads, interact with the same people. We take comfort in the routine. We take shelter in it. Photography forces me off of the path of this sameness, forces me to see other people and places. Often within a mile from my home, but really worlds away.